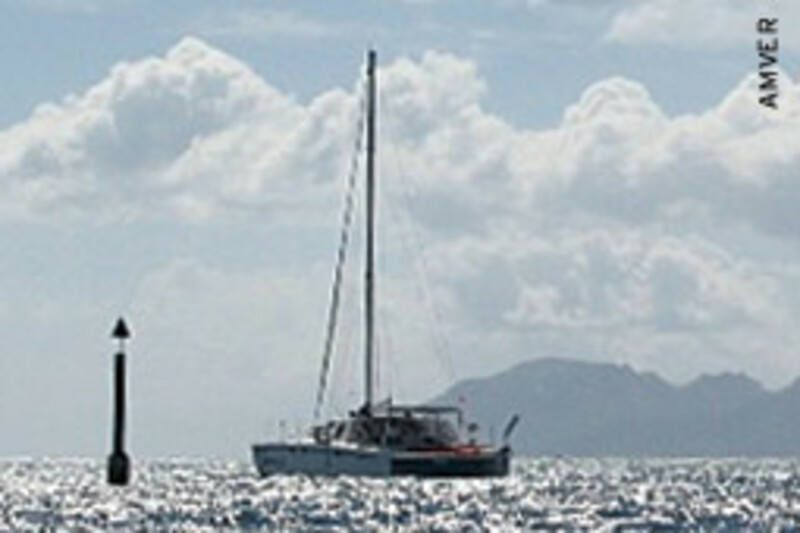 Fair winds that for three days had propelled the 43-foot catamaran Queequeg II west across the Indian Ocean from Mauritius were replaced on Monday, Jan. 19, with a gauntlet of storm cells. Then, says crewmember Leo Sherman, 56, “the encounters became progressively worse,” with “severe wind and rain all through the night” as the yacht approached Madagascar. Queequeg II was in the path of a moderate tropical storm named Eric that was traveling to south-southwest. Another storm, Cyclone Fanele, was much farther north and not really a factor. But by Tuesday, Queequeg II — in the second year of a two-year circumnavigation — was sailing under bare poles, running before seas that went from “manageable swells to extremely steep breaking waves,” some of them 50 feet high, Sherman says. The yacht would not long survive. 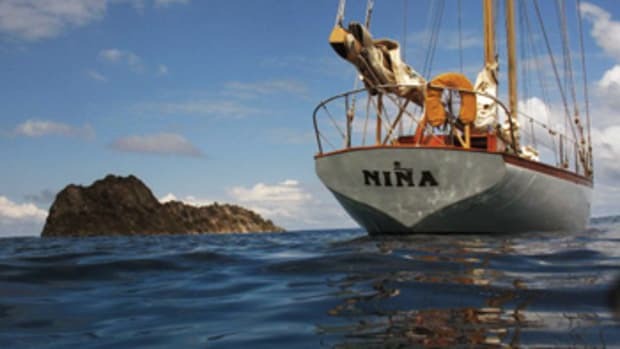 Quen Cultra, 69, the builder, owner and captain of Queequeg II, relieved Sherman on watch at about 2 p.m. Tuesday and announced that the yacht’s course was changing, veering away from Madagascar and heading south. The next stop would be South Africa. Cultra took the helm, with a sea anchor at the ready but not deployed, according to Sherman. 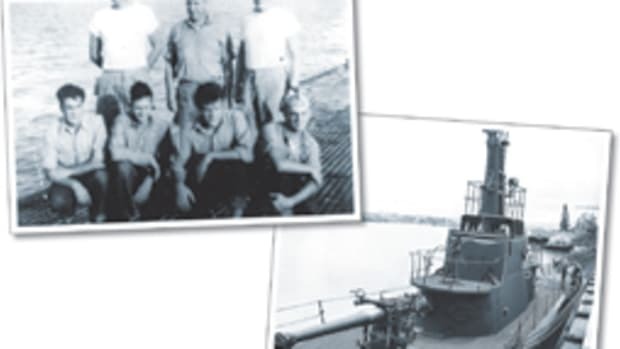 Fifteen minutes later, Sherman was in the main cabin, standing forward, leaning over a food box, and the first mate, Joe Strykowski, 73, was aft, near the galley counter, when a wave apparently taller than the 43-footer struck. Queequeg II’s stern flipped over the bow, pitchpoling the yacht and hurling its crew and every loose item through the air. 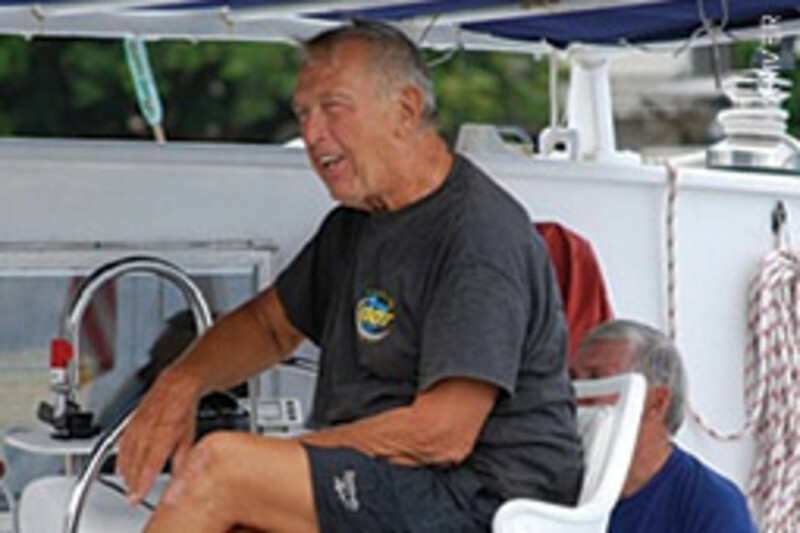 Cultra, on his second circumnavigation aboard the second multihull he had built for voyaging, was never seen again, Sherman says. Within hours, Strykowski would be lost, as well. The voyage had been a dream for Cultra, an exciting experience for Strykowski, and a respite for Sherman, an educator from Illinois. It began in Key Largo, Fla., in September 2007, and was the culmination of a decade of effort by Cultra, a resident of Onarga, Ill. 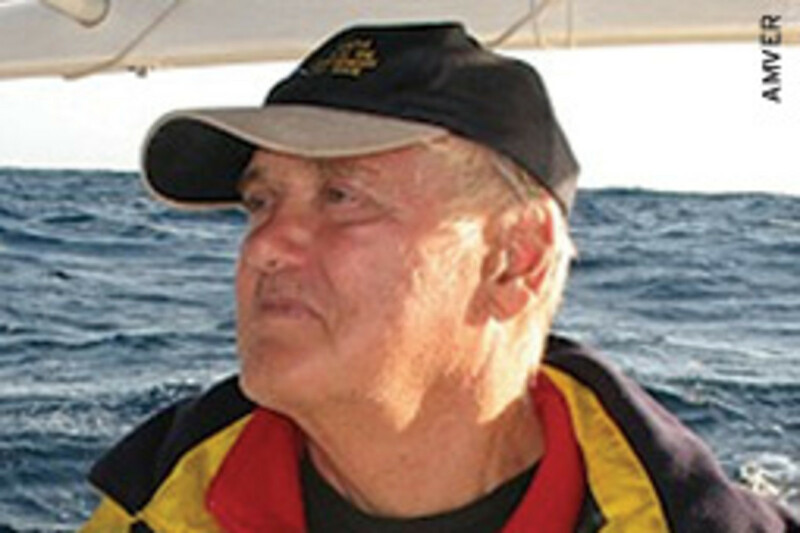 Starting work in the barnyard of his family’s farm, where in the 1960s he built a trimaran named Queequeg, Cultra used a Hugo Meyers design and built Queequeg II of wood. Cultra often would be helped by Strykowski, a friend of nearly 40 years. They had met when Cultra was giving lectures following his first circumnavigation in the first Queequeg. Strykowski, a Chicagoan and a diver, taught Cultra diving, and Cultra taught Strykowski navigation. Strykowski had published several books on diving, underwater photography and manatees, his daughter notes. He had supported himself with his writing and in recent years worked as a guide in Florida on eco-tours and for elder hostels, she says. Sherman joined Cultra and Strykowski in Key Largo for the first leg of the trip, which included the Panama Canal. Sherman, a school superintendent in Illinois at the time, had met Cultra, who served on the board of education, 10 years earlier. Sherman started the circumnavigation in Key Largo but had to return to work 40 days later, after transiting the Panama Canal, he says. “I decided then that I was going to return for the second half,” he says. “I took an unpaid leave of absence from work and joined the group in Townsville, Australia.” Sherman says he had agreed to remain aboard until Queequeg II finished its voyage back in Key Largo. Strykowski busied himself aboard Queequeg II with his first mate duties and writing. 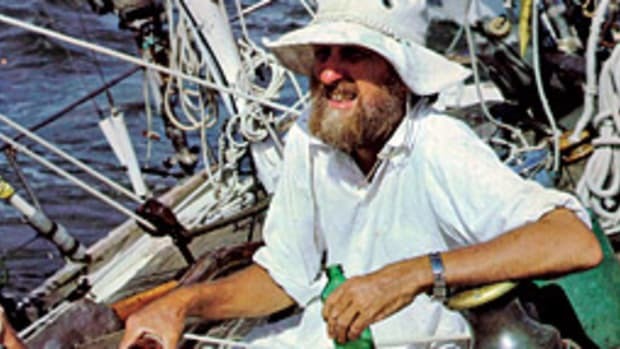 He was updating two of his diving books, Lisa says, and revisiting an adventure novel that involved sailing and diving, which he had begun writing 40 years earlier, when he lived in Jamaica. He was also writing e-mails to Lisa and his other daughter, Nicole, 31. He noted that the crew was down to three members. Queequeg II had boarded as many as sixteen individual crewmembers along the way, including Cultra’s wife, Judy, and some of their children. “Don’t know what I’m going to do for an encore, but I certainly wouldn’t mind spending six months here diving with the whale sharks,” he wrote. After his arrival on board in September, Sherman had been posting entries on the ship’s Web site diary. In one entry, he talked first of fish caught, and of sea snakes and whales seen. Then he reflected on the time two crewmembers had seen dolphins at night near the bow. Off watch for 15 minutes, Sherman was bending over a food box forward in the main cabin of the catamaran. When the big wave hit, he says he “basically completed a summersault.” First, he fell onto some storage boxes and then a padded bench, he says. “After that, it would have been onto the [overhead]. I got a fat lip and a few gouges on my left elbow from some bolt heads in the [overhead], which were the bottom side of rigging mounts. “The contents of the cabin bounced and banged around loudly, scattering all over the room as the vessel flipped end for end,” Sherman says. 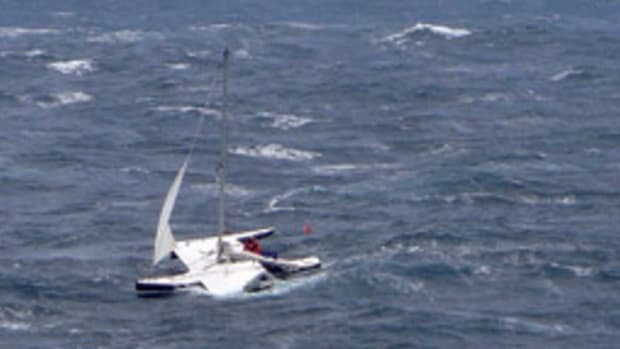 The yacht “spun immediately” so that the companionway opening to the inverted cockpit once again was facing the onslaught of the sea. Water poured in, and “everything mixed and moved, making it extremely difficult to identify and/or locate anything,” he says. The yacht’s diesel tanks had come loose and spilled their contents inside Queequeg II, Sherman says. “Diesel fuel was everywhere. Joe and I were covered in it. I called out to [Strykowski] to see if he was OK,” Sherman says. “He said: ‘Yes.’ ” Sherman says he then told Strykowski to secure two 5-gallon jugs of drinking water, which he quickly did. “I immediately went for my [dive] mask,” Sherman says. Then he and Strykowski began gathering equipment and supplies in water that ranged from chest deep to neck deep. “We had to eject large pieces of cabinets to see the items at our feet,” Sherman says, and “these [cabinet] boards were banging into us. We located the EPIRB, water, a flashlight, cooler with some miscellaneous food items, dive suits, life vests,” and, a little later, a tool bag. 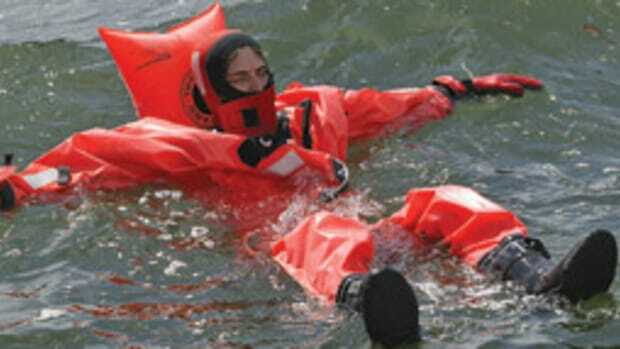 The men dressed in their dive suits to protect against hypothermia. “We were reaching and sorting anything and everything that we could see, get to and secure,” Sherman says. “I hunted a long time for the sat phone and GPS. I gave up on those because I knew they would be ruined. “Things were escaping/floating out the back [of the main cabin] rapidly with the cabin filling with water,” he continues. At the point when the water level in the main cabin reached their chins, the men decided to move to the closest hull, on the starboard side of Queequeg II. But once they reached the starboard side, they concluded that they should be on the port side, where most of their gear was stowed. “Joe had found two short pieces of rope [tied together],” Sherman says. “I was to swim across and secure my end of the rope and pull twice” to indicate arrival in the port hull, he says. Sherman says was going first because he had his mask and fins and Strykowski had none. The plan was that when Strykowski felt the two tugs on the rope, he was to return the signal and then use the rope to pull and swim across the saloon to the port hull, Sherman says. Sherman felt two tugs and then he waited, he says. But Strykowski never arrived and Sherman was unable to find him on a return trip to the starboard hull. 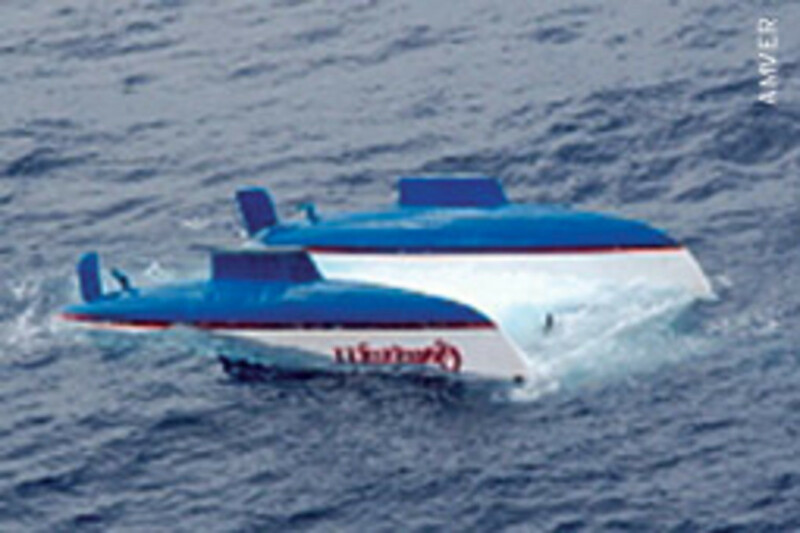 The interior of the catamaran became dark not long after the capsizing, Sherman says. He spent the night in darkness and noise, waiting for light to make some moves. The next day, Wednesday, Sherman was busy. “I had a number of survival objectives keeping me active,” he says. He also had reflected light, shining up from the sea beneath Queequeg II, filtering into the boat through its main cabin door, the portholes and hatches. 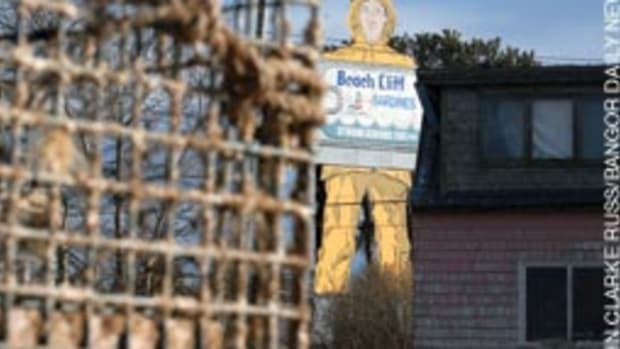 Working with a hammer and wood chisel, Sherman managed to chop a hole large enough to pull himself through in the port hull by late Wednesday afternoon. 9 o’clock on the morning of Thursday, Jan. 22, he looked outside and saw a ship. It was the Auto Banner, a vessel enrolled in the volunteer AMVER program in which ship owners commit to help in rescues at sea. Sherman says it took him about an hour to prepare to leave Queequeg II. When he did, he says, he swam to the Auto Banner, where crewmen lifted him aboard, entangled in a rope ladder. 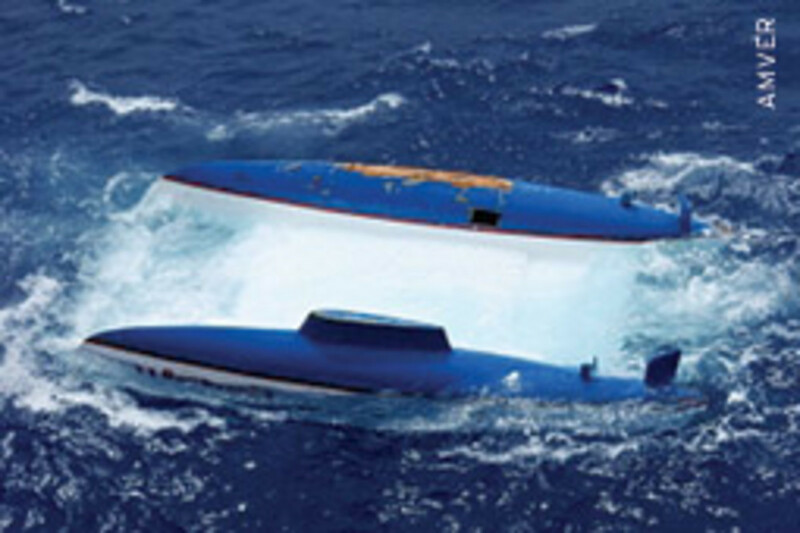 The Auto Banner had been routed to Queequeg II by U.S. Coast Guard watchstanders in Miami, who had received the EPIRB signal from the Florida-registered boat. 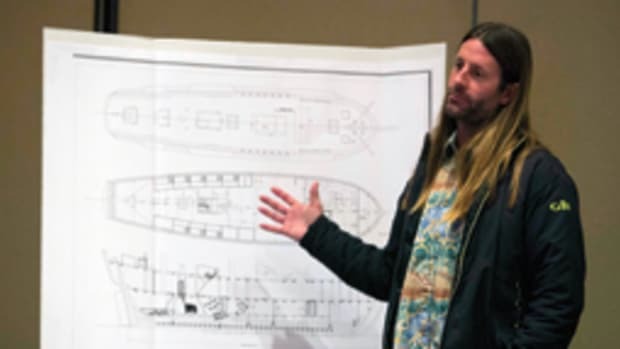 Petty Officer James Harless, of the Seventh Coast Guard District, says his unit alerted the Marine Rescue Coordination Center on La Reunion Island in the Indian Ocean and then helped design a search plan for Queequeg II and recruited the Auto Banner. Harless says aircraft from the U.S. and South African navies were dispatched to the scene, along with a frigate from the French navy. He says divers from the frigate searched the yacht but were unable to find Cultra or Strykowski.